When Andy Warhol spoke about everyone having 15 minutes of fame, he might have had King Louis XIX of France in mind, seeing that his “reign” in 1830 lasted for just about that length of time (to be absolutely accurate it was more like 20 minutes, although it is unlikely that anyone was standing by with a stopwatch at the time! Not surprisingly, not many people have heard of Louis XIX. Indeed, many people might think that the long line of Bourbon Louis’s ended in 1793 when Louis XVI lost his head during the French Revolution. However, there was Louis XVII, the son of Louis XVI, who died in prison at the age of 10, and Louis XVIII, the brother of Louis XVI, who was restored to the French throne on the overthrow of Napoleon Bonaparte. But Louis XIX? When Louis XVIII died in 1824 he was succeeded by his younger brother, who reigned as Charles X. Charles attempted to restore the monarchy to what it had been before the Revolution, and this led to a second Revolution in July 1830. 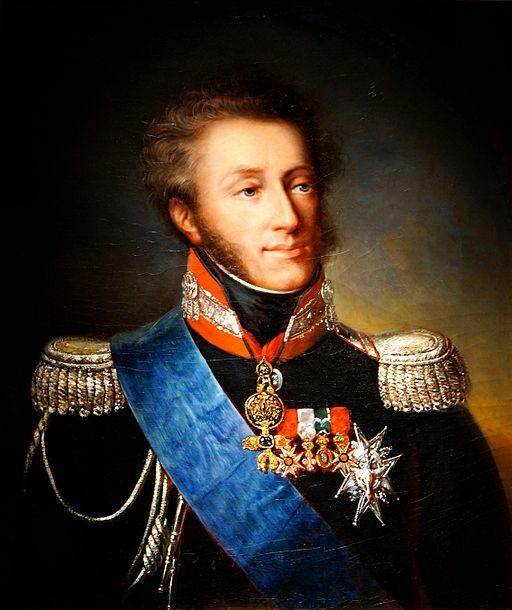 Charles was luckier than his eldest brother in that he only lost his throne, not his head, and he abdicated in favour of his grandson, who was to reign only very briefly as Henri V.
However, although the father of Henri had died (murdered) back in 1820, Charles had a son who was still alive, namely his elder son Louis, who had supported his father loyally throughout his reign. On 2nd August 1830 Charles signed the abdication document, and the moment his name was on the paper, the royal baton passed to his successor, namely Louis. The revolutionaries had demanded that Charles abdicate on behalf of himself and his immediate family, thus excluding Louis, but Louis was also required to sign. He hesitated to so do, and for 20 minutes he listened to the entreaties of his wife, who was now technically the Queen of France and rather liked the idea. However, with the whole of France against him, Louis had no choice but to sign and so ended the shortest royal reign ever recorded, anywhere. The next reign, that of Henri V, did not last a great deal longer, as seven days later the National Assembly declared in favour of the Duke of Orleans who, although a member of the House of Bourbon, had supported the 1789 Revolution and was prepared to rule as a constitutional monarch (King Louis Philippe). Louis XIX left France for ever and died in Austria in 1844 at the age of 69. For the rest of his life there were a number of ultra-Royalists, known as “Legitimists”, who continued to regard him as the true King of France, but he took no active steps to regain the throne, and therefore goes down as one the more bizarre footnotes of history.